Ever since that fateful day in 1980 when I viewed the Ray Harryhausen video, I have drawn dinosaurs, written stories about dinosaurs, and constructed dinosaurs from various media such as clay and plaster. As I mentioned in my intro page, the second the Harryhausen film was over, I pulled my crayons and paper out of my desk and began to draw dinosaurs. My interest was sparked that day, and since then I have drawn and created dinosaurs in some form or another. Below are links to different dinosaurs I've done through the years. 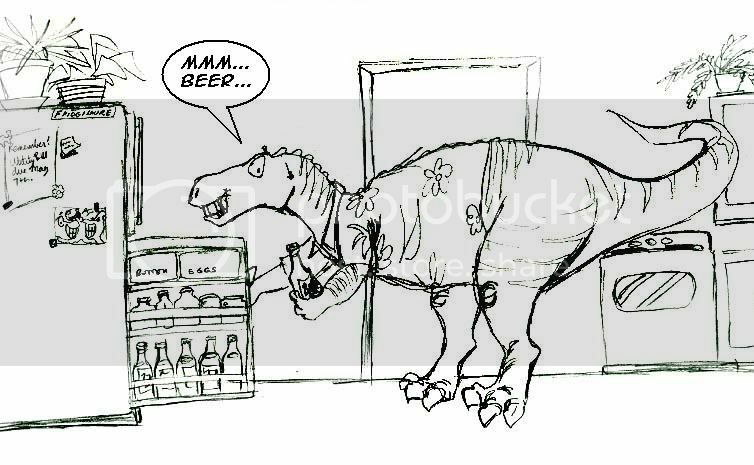 They are in chronological order (well, I tried to keep them that way, anyhow), starting with the first dinosaur book I ever wrote, Mr. Borontosaurus. Andy tells us about dinosaurs and other prehistoric creatures--including "The Great Eorops." A dino-rock n' roll band! 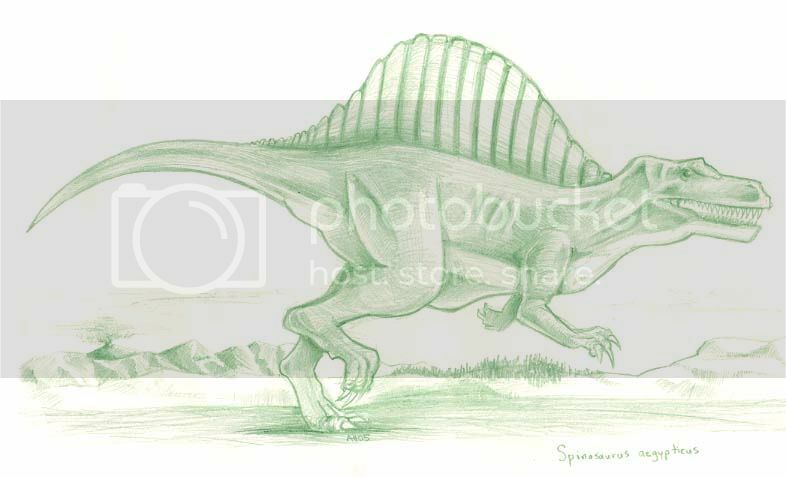 An actual realistic dinosaur drawing I did. Here he is again, after some playing in Photoshop to turn him all green-like. Done in MS Paint one slow day at work. I often do drawings in Paint while bored at work (shhh! Don't tell my boss!). I was inspired to do this guy after watching Before the Dinosaurs on the Discovery Channel. A series of prehistoric mammals I've started to sculpt out of Sculpey clay. A favorite marine reptile of mine. I sketched this out at work one day, than inked it because I liked it. I even put it on a t-shirt. 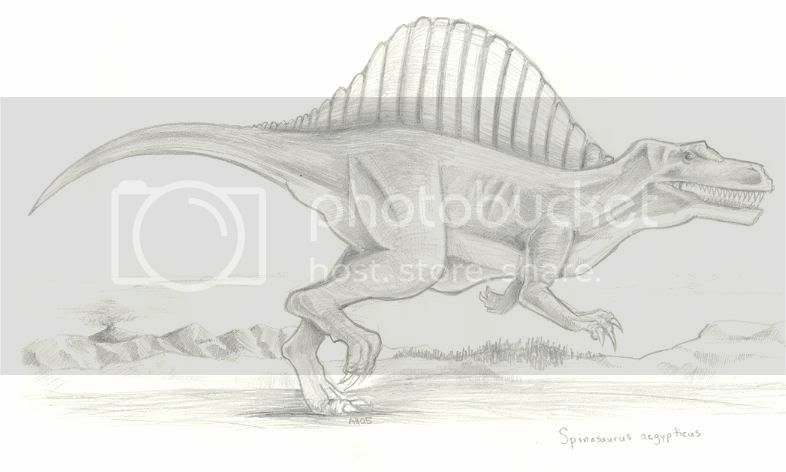 More paleo-art can be seen on my DeviantArt Page!